If the clothes do, in fact, make the man, we should make very sure that we don’t end up fake, right now. 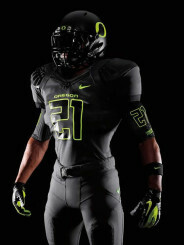 Oregon football’s meteoric rise to the national spotlight, its trademark gameday flash, and the recent recognition of Marcus Mariota by the Heisman committee have made us the target of counterfeiters across the country and around the world. 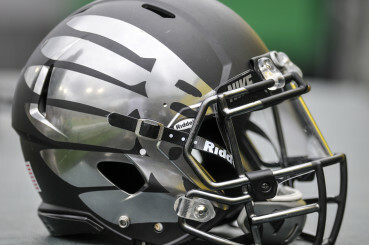 Oregon even brought the bling to Spring. Ask any kid where the best college football program in the country is, and the answers may vary. Alabama, Ohio State, Florida State, et al. may all come up, depending on where he’s from. Ask that same kid where the best college football uniforms come from, and the answer is the same everywhere. 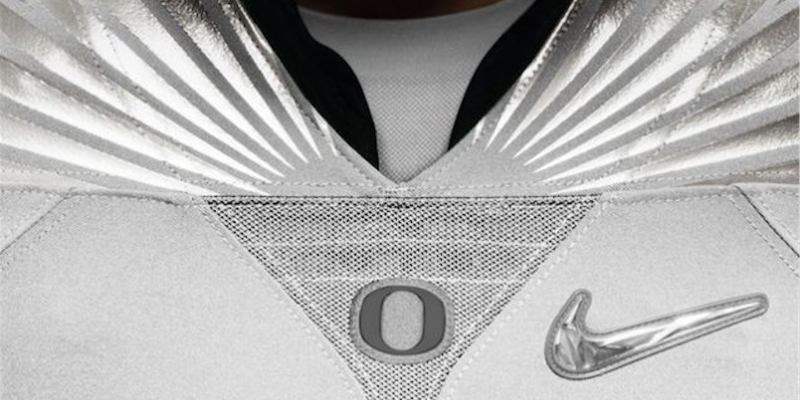 Whether you like the classic Green and Golds, the Blackout Specials, the Iron Ducks or the Stormtroopers, everyone knows if you want to bring the college football bling, you get it from Eugene. Unfortunately, if you go bargain hunting nowadays, the merch you get may not be from around here at all. Try not to buy from mystery men. As Kyle Iboshi at KGW reports, counterfeiters have flooded the (lately enormous) Oregon gear market in the wake of the Ducks’ College Football Playoff appearance. Almost $30,000 and over 1,100 counterfeit items were confiscated at the Championship Game alone, and if it’s that virulent in person, you can imagine the glut of knockoff gear inundating the online marketplace. 1) Tags: If the tags are missing or misprinted, odds are the item is a knockoff. If the tags are cut, it may be a factory reject. 2) Logos and holograms: Some international fakes may include logos, but fakes produced inside the United States usually try to subtly modify them to avoid legal action. Holograms in particular are difficult and expensive to reproduce, so cheap knockoffs usually leave them off. 4) Healthy Skepticism: Use your eye. If it doesn’t look right, if it’s priced way too low, or if something just feels off, move on. Get it from a licensed merchandiser, or from the school store.